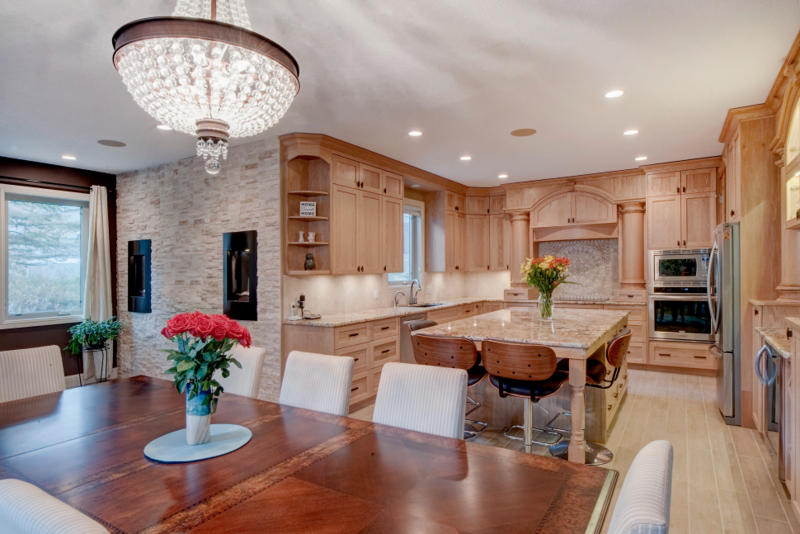 If you’re interested in Calgary custom homes, chances are you have a lot of questions about money. Home financing works a little differently when you’re building new, and there are deposit, contractual and construction phasing considerations to take into account. Fortunately, the ins and outs of financing Calgary custom homes are fairly straightforward. Here’s an overview of what to expect from a financial standpoint during the building process. In most cases, you’ll need a two-part financing arrangement to build your new Calgary custom home. The two parts are (1) a progress draw, and (2) a completion mortgage. Progress draw loans have a short lifespan, and typically come with about a six-month term. While interest rates are usually higher than what you’d pay for a standard mortgage, the overall effect of this is negligible considering that the loan will be repaid in full after a matter of months. When your home is complete and you’re ready to move in, you’ll switch to a new type of loan known as a “completion mortgage.” A completion mortgage is functionally identical to a regular mortgage, except that it is designed to pay off your progress draw in full before you assume the loan. Calgary Custom Homes: Can You Qualify for Mortgage Discounts? If your new Calgary custom home is specially designed to conserve electricity and reduce your household energy consumption, you may qualify for a discount on your mortgage insurance. Mortgage insurance is a necessary requirement if you’re putting down less than 20 per cent of the home’s total cost, but if you’re buying an EnerGuide-qualified home, you can save as much as 10 per cent on the cost of your mortgage insurance. You can contact either one of these organizations directly for further information. Site selection. You need to choose your site before you can start to design your new home, since land features and lot orientation play a key role in determining how your home needs to be laid out. Design. Work directly with architects, engineers and interior designers to bring your ideas to life! Construction. As mentioned above, progress draws are made during the construction phase. Completion. Once your home has been inspected and approved for move-in, you’ll be ready for occupancy! At Fine Line Homes, we offer flexible financing arrangements designed to help you achieve your home ownership dreams on terms you can afford. We back up all our new home construction with one of the most generous warranties in the business, and we’re pleased to partner with Progressive Protected to cover all materials, home systems and workmanship. In our experience, people considering Calgary custom homes have a lot of questions about what’s involved with the process. To that end, we’ve put together a list of frequently asked questions to help guide your research. As always, we encourage you to contact us if you need answers to specific questions not covered in the FAQ. Finally, we’re pleased to offer a unique online tool for generating your very own custom home estimate. It’s available from Fine Line Homes at absolutely no cost or obligation to you. Please visit us online to get started with your quote!